If you love looking at that beautiful oak or maple in your backyard, or enjoy a walk in the woods, you’ll find this book fascinating. Peter Wohlleben confirms what I have often thought when in the midst of trees—they are wise, social beings that fulfill an important role in our lives. 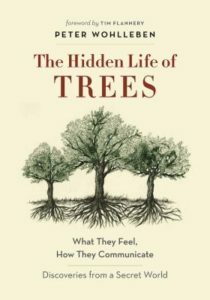 Check out The Hidden Life of Trees today. 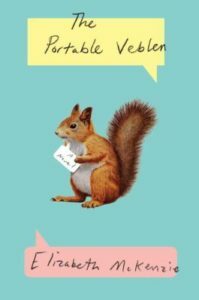 How do you describe a novel which combines interesting facts about squirrels and information about philosopher Veblen Thorstein with a delightful cast of eccentric characters? Elizabeth McKenzie does it splendidly, creating a satisfying, funny read with depth and insights into parental and romantic love. Find a copy of The Portable Veblen now. Carl Hiaasen is in top form with his new novel Razor Girl, which, like all his novels, is set in Florida. 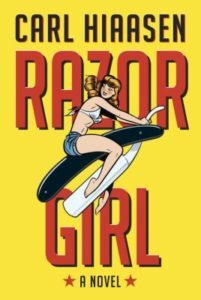 Filled with wacky characters and a zany plot, Razor Girl will keep you laughing and turning the pages. Want to escape winter, but can’t really escape? We have an entire list of mysteries set in Florida! Eleanor Flood has decided to turn a new leaf—today she’ll dress nicely, exercise, be kinder to her husband, etc. As life often does when we pledge to start anew, her day goes down the tubes immediately. 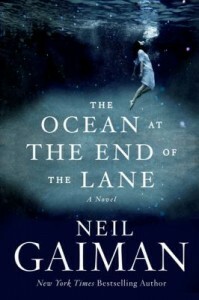 Eleanor’s mishaps point to the hurt she feels from her estranged relationship with her younger sister. Maria Semple’s deft use of humor lightens the mood as Eleanor keeps moving forward through her challenging day. 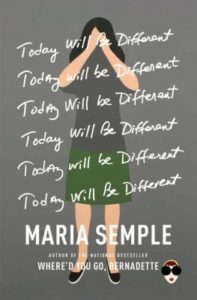 Today Will Be Different is the Semple’s latest novel, following mega-bestseller Where’d You Go Bernadette. Editor Gavin Van Horn has compiled stories, poems, drawings, and photos from Chicago artists which describe their encounters with the diverse wildlife that live in the city. 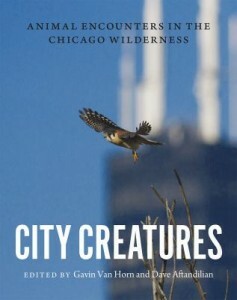 Learn more about the story behind City Creatures in this review and interview on Chicago Tonight (from local PBS affiliate WTTW). A paean to the wild beauty of Chicagoland’s nature preserves, prairies, and wetlands. 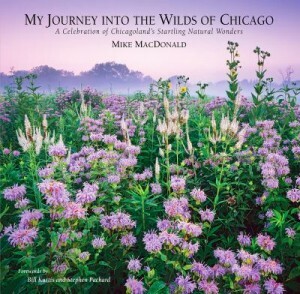 Mike MacDonald’s stunning photos and beautiful prose will inspire readers to visit the natural areas highlighted in his book, and to learn more about the plants and animals that inhabit the wilds of Chicago. Watch an interview with the author and photographer on WTTW’s Chicago Tonight to learn more about My Journey into the Wilds of Chicago. The Peterson Garden Project, which is based in Chicago, has created a simple, yet informative, guide for growing vegetables and herbs in your backyard or patio. What better way to connect with nature than eating food grown from your own garden! 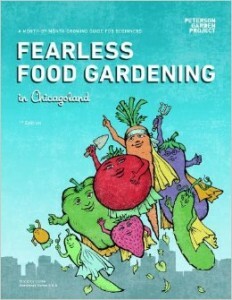 Check out Fearless Food Gardening in Chicagoland—and check out seeds from our Seed Library to get started. Lucy Knisley’s graphic memoir about growing up with a mom who is a chef and a father who is a food-snob will trigger memories of favorite foods, of cooking successes and failures, and of times spent sharing meals (delicious and not so delicious) lovingly prepared by someone for us. 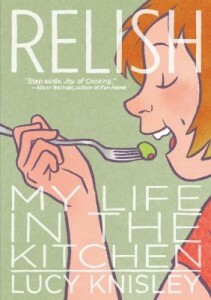 Relish is recommended for those who live to eat! Middle-aged Sophie follows all the rules of proper behavior and she has dutifully spent her life caring for her mother and two aunts. She spends her leisure time attending book clubs, setting crab traps, and painting on Sunday mornings by the river in lieu of attending church. Her staid, confined world expands when Mr. Oto arrives in Salty Creek, Georgia, and becomes the gardener of her friend Miss Ann. When Pearl Harbor occurs, Mr. Oto’s position in the close knit community becomes precarious. 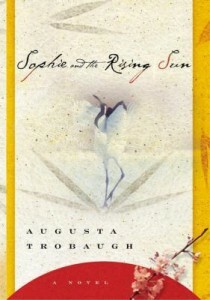 In Sophie and the Rising Sun, Augusta Trobaugh has crafted a romance with interesting characters and created an evocative sense of place.